Our program will detect your connected Kindle, then you will see your Kindle displayed in the rightside column with Kindle's model name. And all the books saved in your Kindle are listed below. Kindle DRM Removal will process the books automatically. And all the decrypted books will save in computer's hard drive. No harm to Kindle device or the books saved in Kindle. 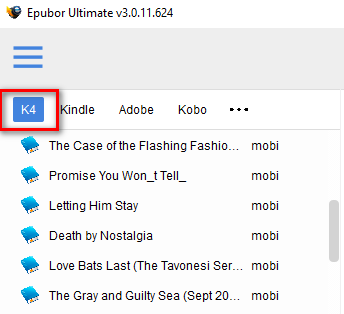 Drag & drop Adept EPUB&PDF books from default ADE content folder to software's main window, and remove DRM. Nook has changed the DRM since 2015, the billing name and credit number method is not working any longer.